For a lot of us, doing shots is a bit of a roulette anyway. 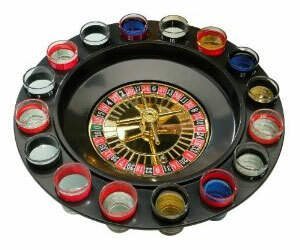 Well now if you’re on a serious drinking mission it can be a real roulette. A couple of nasty / strong shots in the mix give the game a real taste of terror!